Picking the perfect fishing reel might be a daunting task when you’ve no knowledge about the stuff. Especially, if you’re just starting to like fishing. The right reel is the cornerstone of a pleasant fishing experience. With the right rod on your side, you can increase your chance of actually catching a fish, or at least can enjoy a smooth fishing time. But as mentioned earlier, probably you can’t tell the difference between a right tool from the wrong kind for your task. 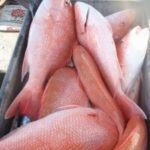 That’s why I came up with this how to choose a fishing rod for beginners guide. 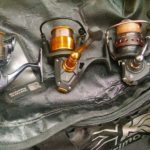 You will find everything you need to know to pick the right equipment for fishing after reading this article. 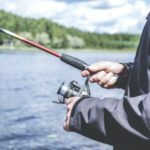 How should beginners choose a fishing rod? There are various things you first need to sort before getting your fishing rod. Here below, you will learn about all those things so that you can pick the right tool for the job. Water type: Fishing rods are built for two types of water. One is for the freshwater fishing. The other one is for saltwater fishing. 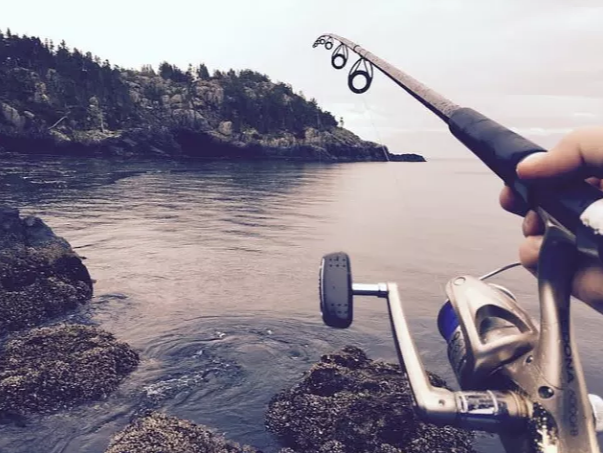 If you’re looking to fish during free time in nearby ponds and lakes, then freshwater fishing gear will perfectly suit you. However, you can’t use that for saltwater fishing. Why? Because of the corrosion factor. Those gears will get damaged in no time as they won’t withstand salty water. That’s why you require using a saltwater fishing rod. They are expensive but perfect for any kind of fishing. Rod Action: The flexibility of the cane is another important aspect while choosing a fishing rod. The bending of the rods provides different speed. The fast action rods slightly bend on the top region, while the slow action rods will bend almost from the top to the lower third of its body. Quick action rods responses better while fishing but slower action rods will provide little more distance while casting. Resistance: The resistance of a fishing rod is determined by the strength to hold the lines. Always use proper lines according to the resistance of your rod. For instance, a fishing rod for bass or soft-water fishing will require heavier lines. Types of fishing rods: There are different types of fishing rods in the market. Spinning, flyfishing and many others. The spinning rods are launched and collected to lure frequently. This type of rods is generally lightweight. That is why you get more throwing accuracy and less fatigue using it. Next is surfcasting rods. These are used on the shores in beaches. Therefore, this type of rods is longer than others. Plus, they are corrosion proof. And the last popular fishing rode is flyfishing. Perfect for catching fish in Riverside. They are lightweight, comfortable to control and have a smaller grip. Rod Material: Your rods material is as relevant as any other factor mentioned here. 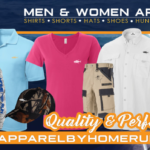 If it is constructed using a rigid material, then it will last forever, but you’ve also to make sure it provides enough flexibility for a better fishing experience. Here are the types of fishing rods material you’ll encounter in the marketplace. Fiberglass: Most modern fishing rods are constructed using fiberglass. It is a very popular material in many fishing equipments. Graphite: Lightweight and high resistance. A material used by many fishermen. It isn’t as popular as it used to be. Still, some people prefer this over others. Bamboo: For many centuries, rods were built using bamboo. And still today, you can find rods made from rebuilt bamboo. However, fiberglass should be your top pick. They are more efficient and has better-built quality. Not that expensive too. At the end of the day, it depends on the fisherman’s preference. Some beginners with the budget might go for the best fishing rod in the market. But it’s better to learn the curves with a starter rod and get your way up from there. 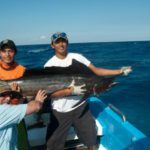 And hopefully, my how to choose fishing rods beginners guide will be enough to help you find the right tool according to your experience level.